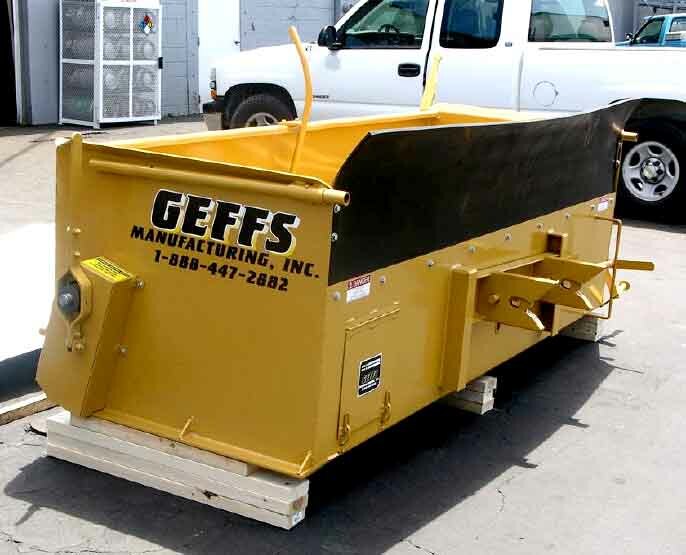 GEFFS can provide you with a proven Rate Control Upgrade, for machines with hydraulic gate control,that can be installed at the factory or you can install this at your location with assistance from GEFFS Manufacturing, Inc's technical department. When upgrades are done at the factory, we can assist you with maintenance to your hopper and machine to insure a good chip seal program. 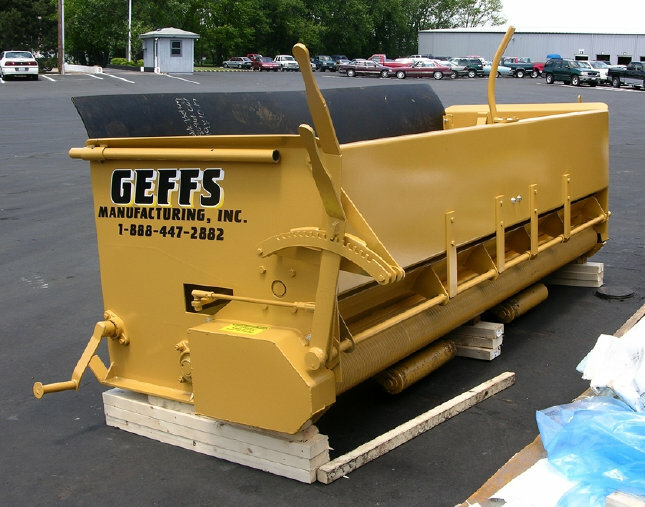 When you order the GEFFS Manufacturing, Inc RATE CONTROL ONLY UPGRADE KIT, Part number 70026, it comes with every thing you need to install this system less the hydraulic hoses. 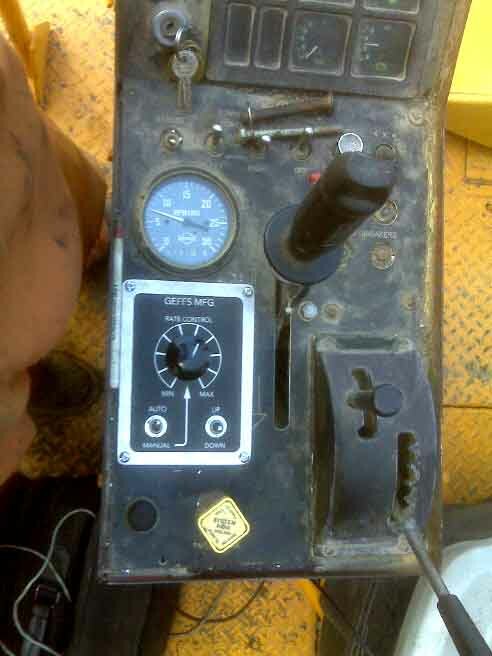 Kit includes: hydraulic control valve assembly, rate control linear cylinder, pre-programmed Plus 1 controller, control panel assembly for rheostat and switches, throttle rocker switch, wiring harness, (as needed: speed pick-up sensor & speed pickup sprocket) and instructions for installation of system. 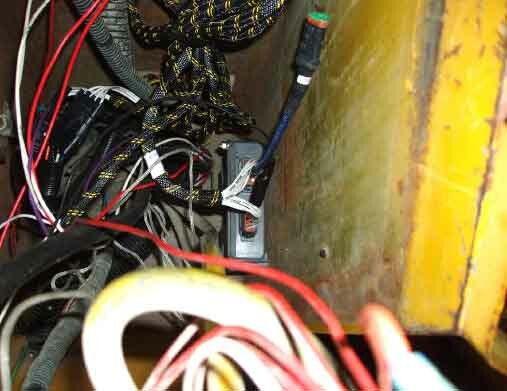 The only thing you will have to do is modify your control panel to accept the controls, install the system and make a speedometer sensor pickup bracket on some machines. 1. This control will operate in two Modes, AUTO and MANUAL. In both modes, the Gate Cylinder Feedback is used to provide closed-loop position control of the Gate Cylinder position. If the Enable Input is off the cylinder will close in either mode. The Enable Input switch is located on the remote controller box. 2. In Manual Mode the Gate Cylinder position is set proportionally by the Rate Control potentiometer. If the Rate Control potentiometer is at min, the gate will be closed, at max the gate will be open. The Ground Speed input is not used in Manual Mode. 3. In Auto Mode the Gate Cylinder position is set proportionally by the Ground Speed. At zero Ground Speed the gate will be closed, and at max Ground Speed the gate will be open. The max Ground Speed is adjusted by the Rate Control potentiometer. 4. If the Ground Speed signal is lost the gate will close and Manual Mode is required until the problem is solved. 5. The Up/Down Jog switch is used in Auto Mode to override the gate control. If UP is selected the gate will open and continue to open until the switch is released. If Down is selected the gate will close and continue to close until the switch is released. Once the Jog switch is released the Gate will return to the position set by the Ground Speed. This allows the operator to clear material from gates. Hopper rate control valve will maintain your gate opening. Linear cylinder replaces existing cylinder. Lug may need to be relocated to give maximum gate opening. The cylinder provides feedback of location to the controller. The plus one controller is installed in your control panel and wiring harness run to all components. Wiring is contained in a continuous loom and proper connections are provided at each component of the new Rate Control System. A pigtail at the controller allows technician to communicate with the controller if necessary. 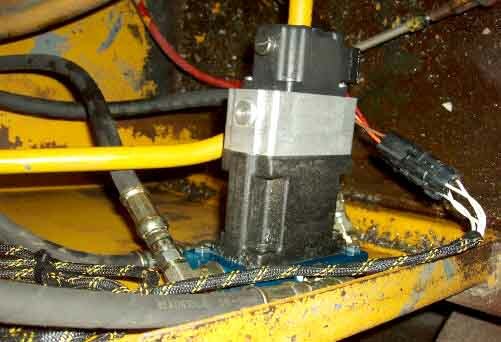 Speed pick-up sensor is used to read the ground speed of your machine. 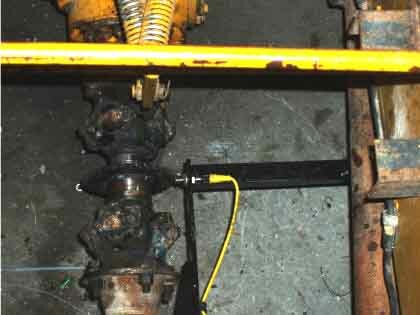 On newer Funk longdrop transmissions the magnetic speed sensor is utilized. 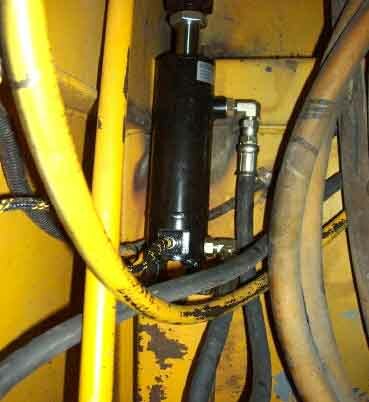 On older machines a speed pick-up sensor is provided less the mount bracket. GEFFS will assist you in the design of your bracket. Removal of your old rate control system and simple modifications to the control panel allows the GEFFS Rate Control System to easily be installed. Plus one controller are small, dependable and ruggedly constructed. Mounting with two (2) 1/4" bolts. Then simply plug in the wiring harness. 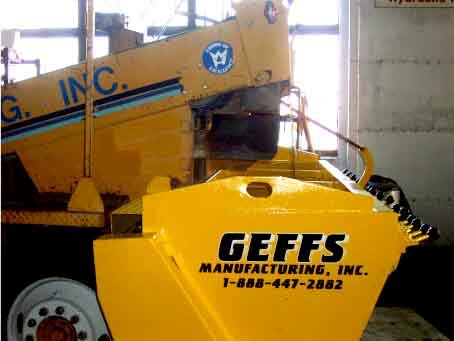 GEFFS MANUFACTURING, INC RATE CONTROL UPGRADE --- Call 1-888-447-2882 for pricing.